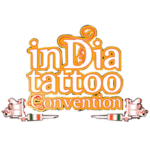 For the majority of Indians who haven’t been tattooed yet, the first inhibition they face from within is the strike of the needle against the skin, and that too for long hours. It is only after getting a tattoo does someone realize the sheer joy and exhilaration of staying still for hours under a tattoo machine. The hit of a tattoo machine is never the same as a syringe needle. 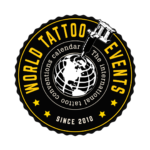 But, what if you could understand the entire tattooing procedure even before getting your first tattoo? What, if you could see how a tattoo comes to life in not three hours, but three minutes? That will make things much clearer, right… We thought so, too. So, this is what we did for you. 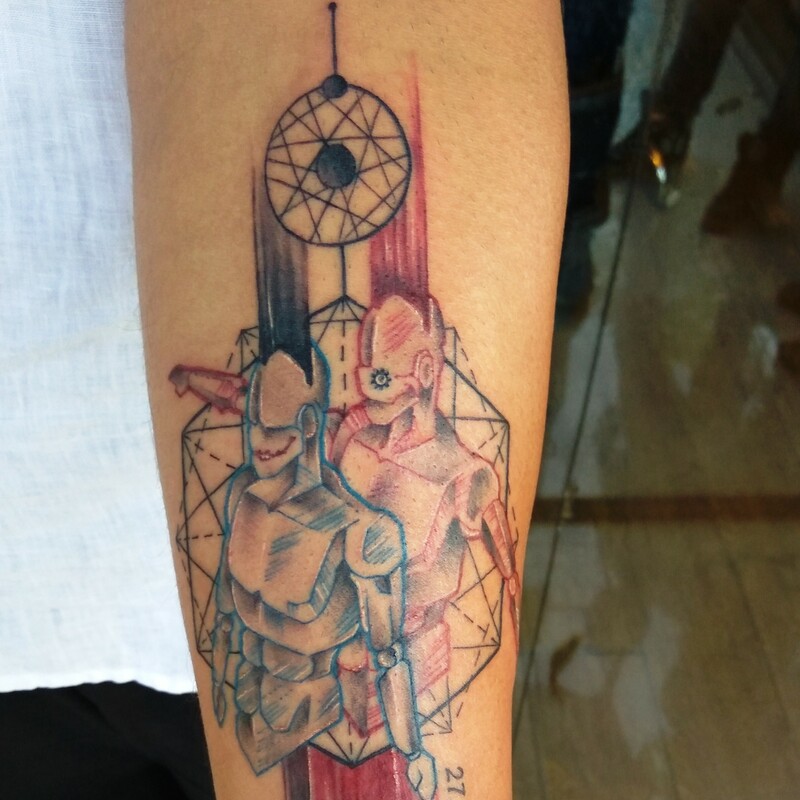 Pinku Bijoy Ghosh (of Inkkraft Tattoos) recently did a Vitruvian man tattoo, in his trademark style. He fused elements of geometry and trash polka, keeping in mind the entire concept of the tattoo for the client. As Pinku later told us, the client wanted a Vitruvian man as the primary element in the design, and he also wanted the Dr. Manhattan logo, along with the eye of ‘Clockwork Orange’ and the smile of Joker. Along with these elements, he also wanted the coordinates of his native place. This tattoo basically defines him, and who he is. This tattoo took over three hours to complete, but you can watch it all in just under four-and-a-half minutes. 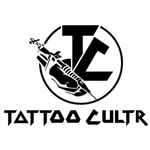 Previous Post Previous post: Tattoo Master, Filip Leu has an old friend in India. Ever heard ’bout Jango?